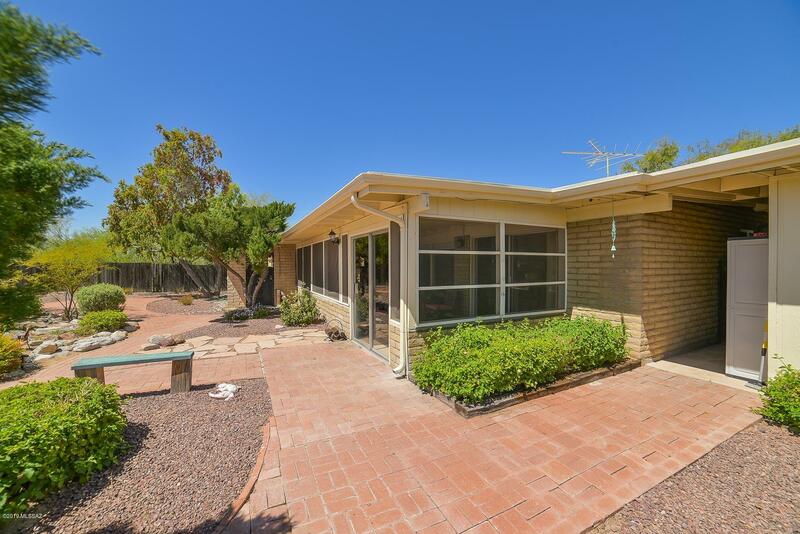 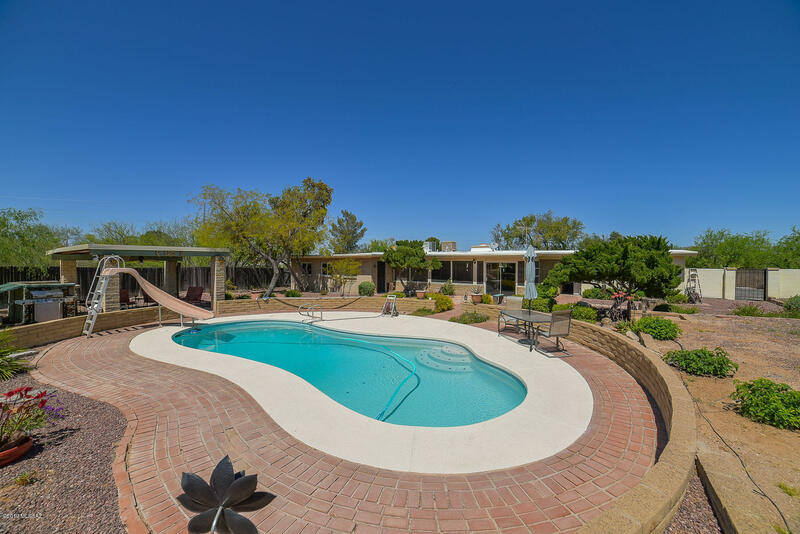 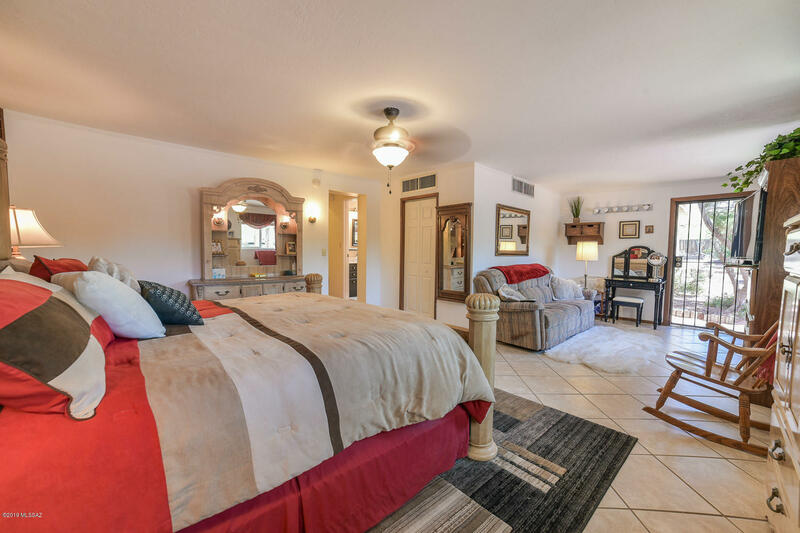 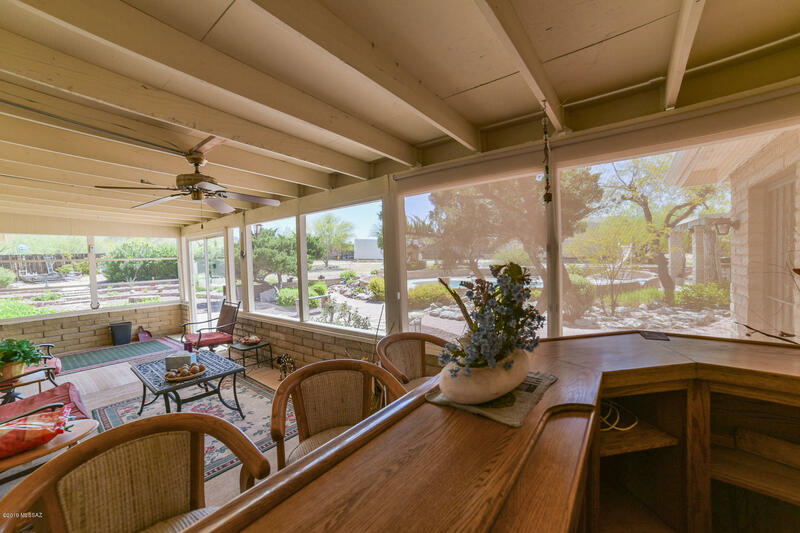 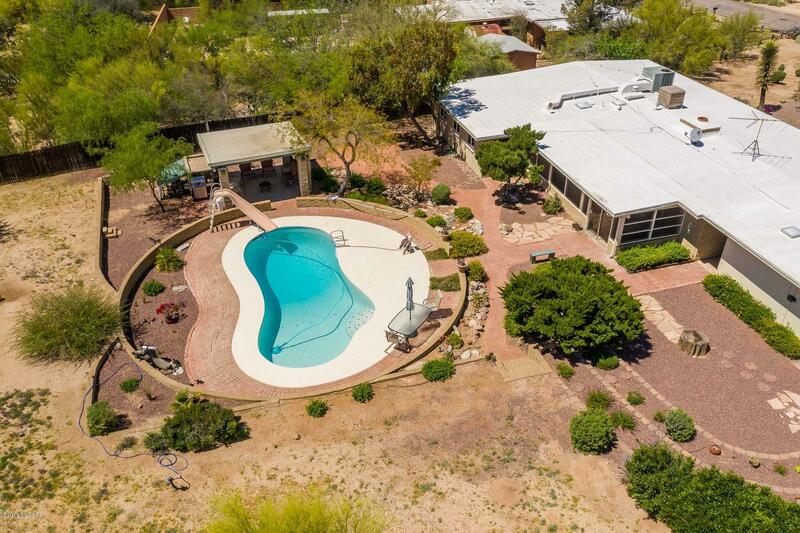 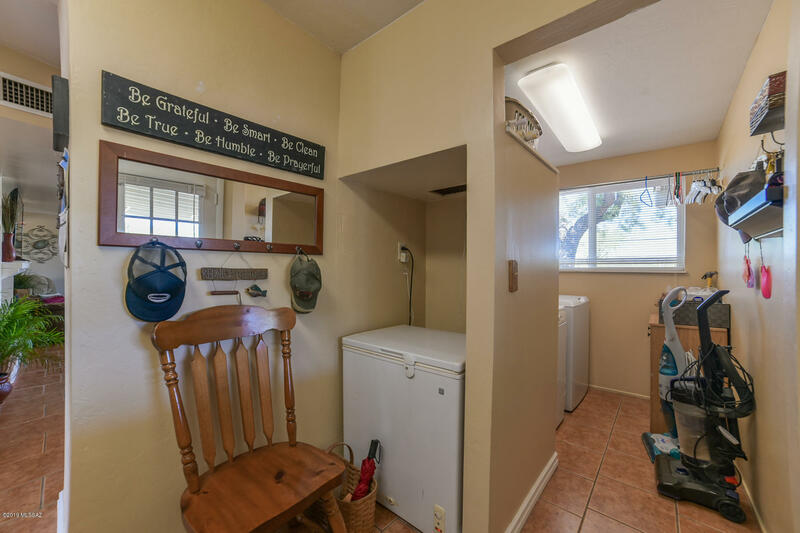 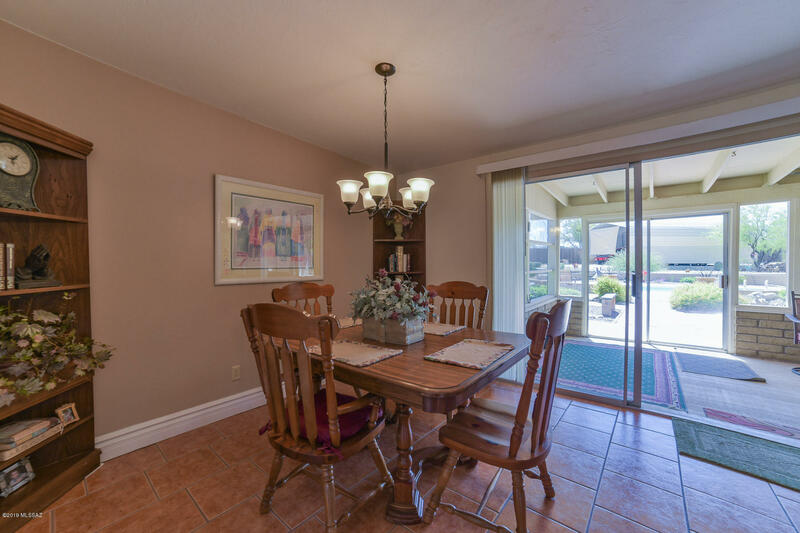 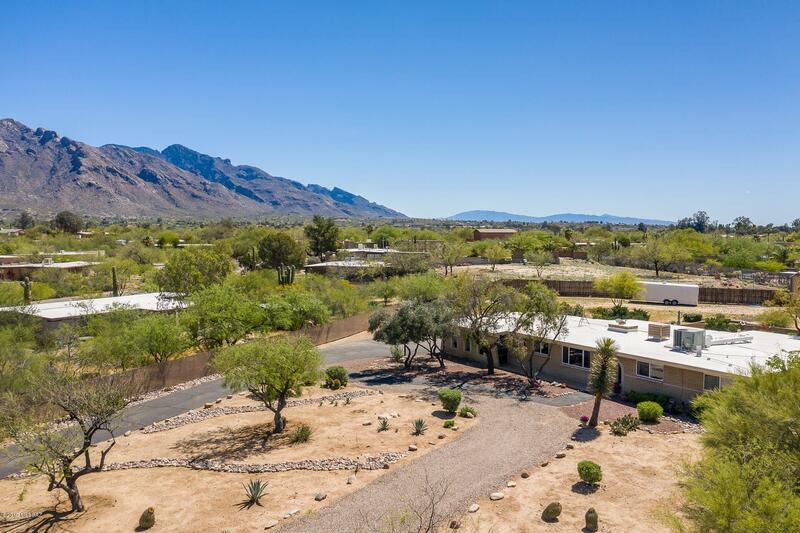 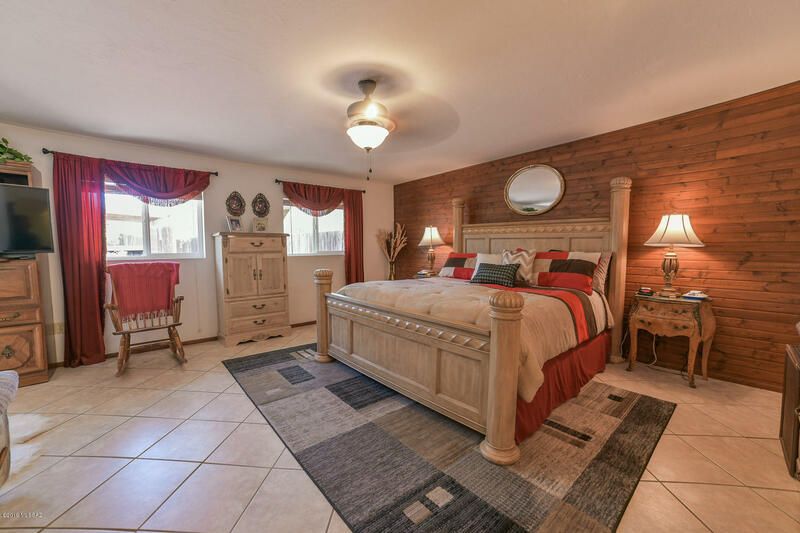 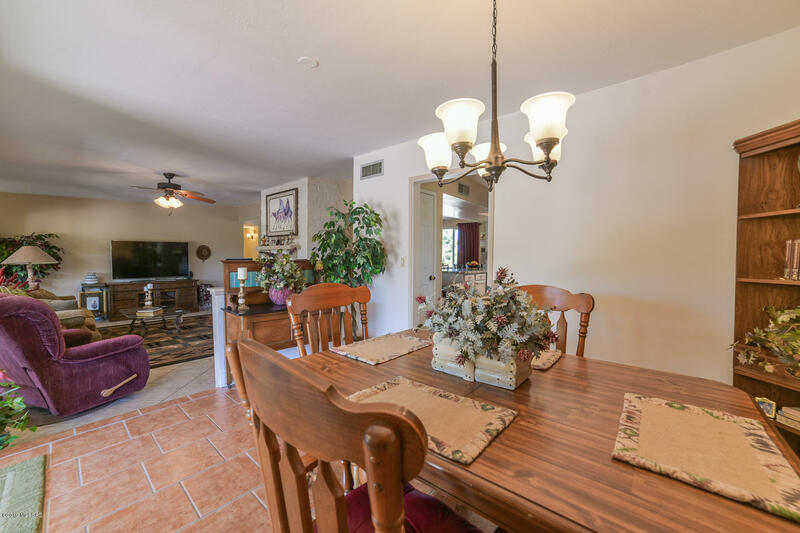 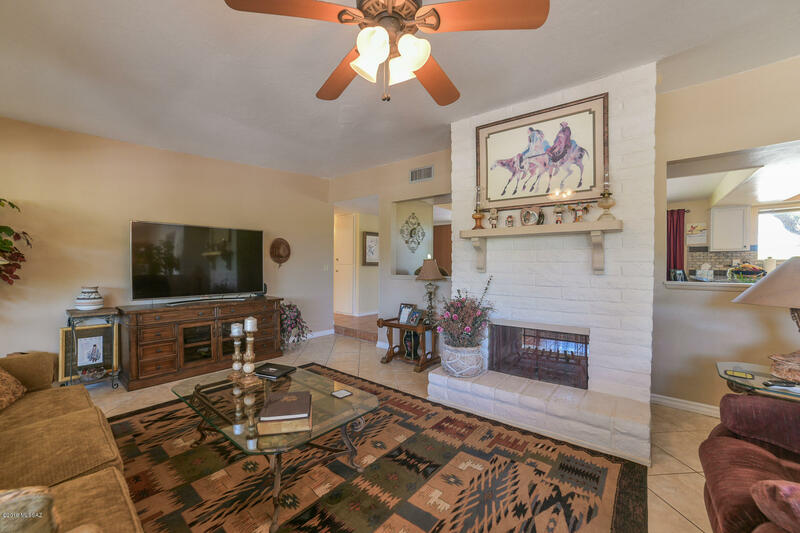 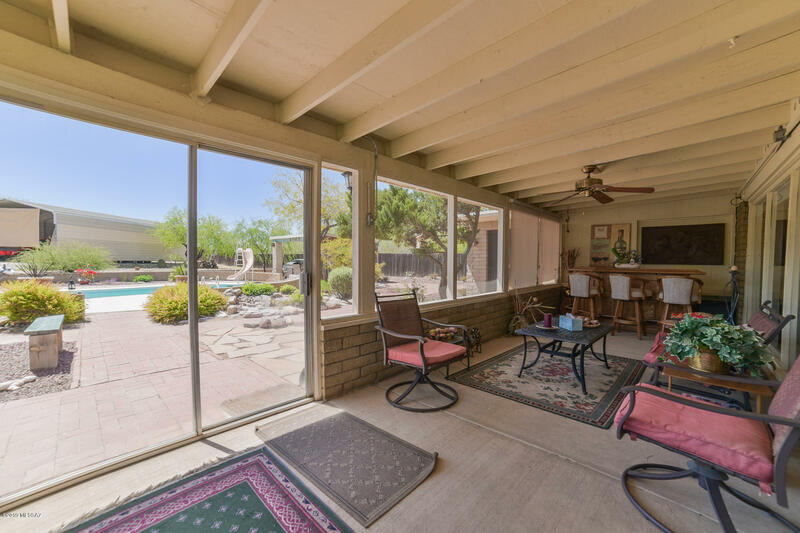 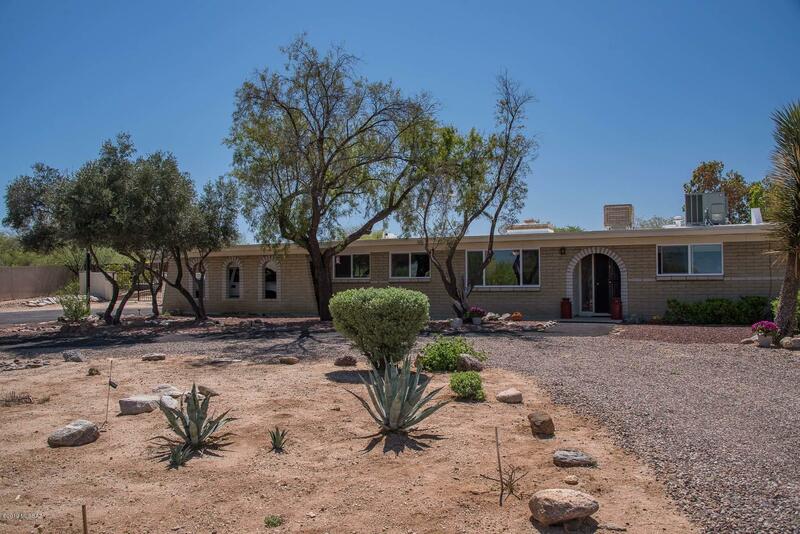 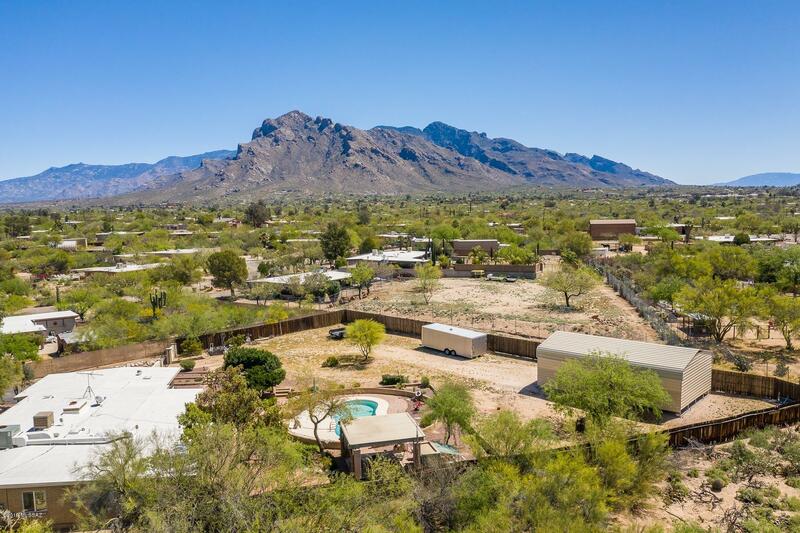 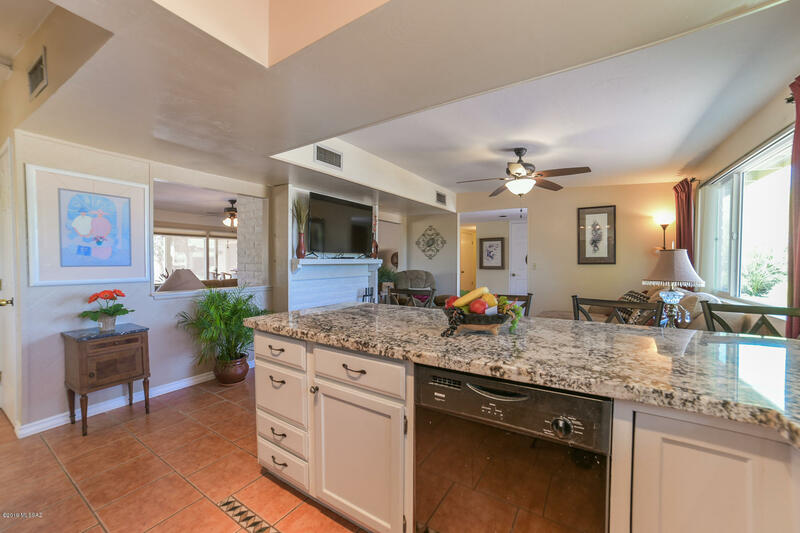 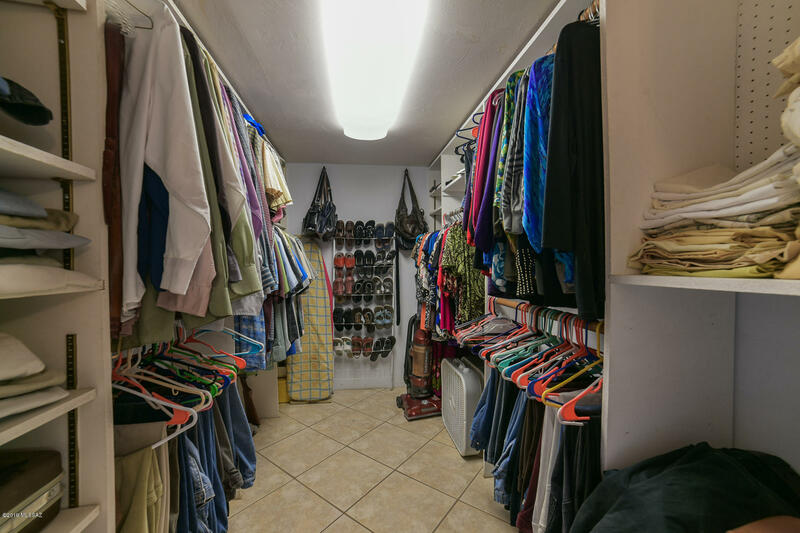 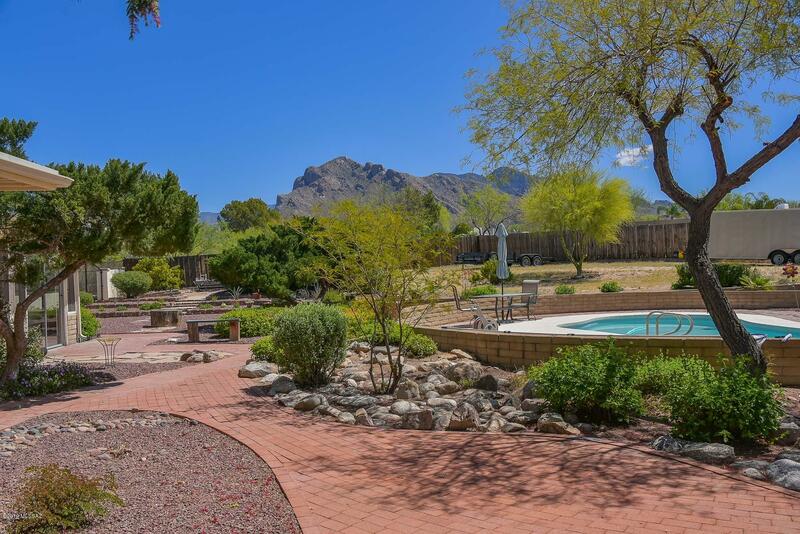 Excellent home on a large lot with mountain & sunset views, cool pool & ramada, covered RV parking, huge backyard with garden areas, pavers and more! 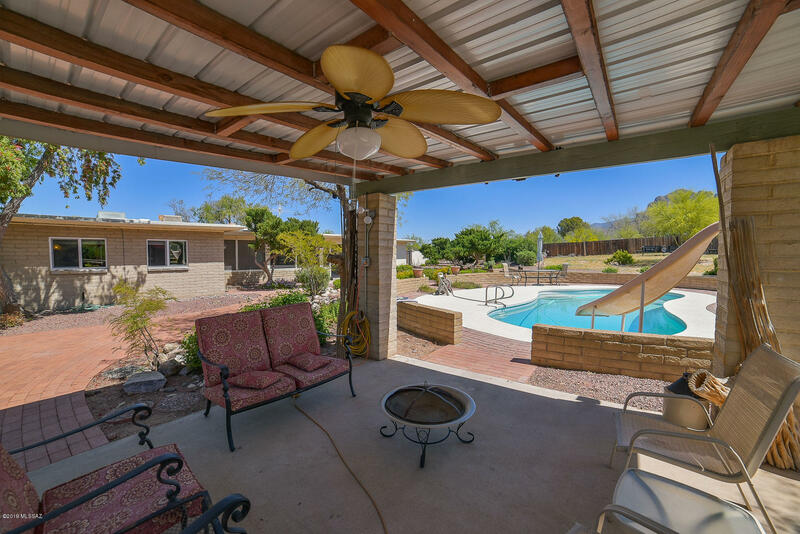 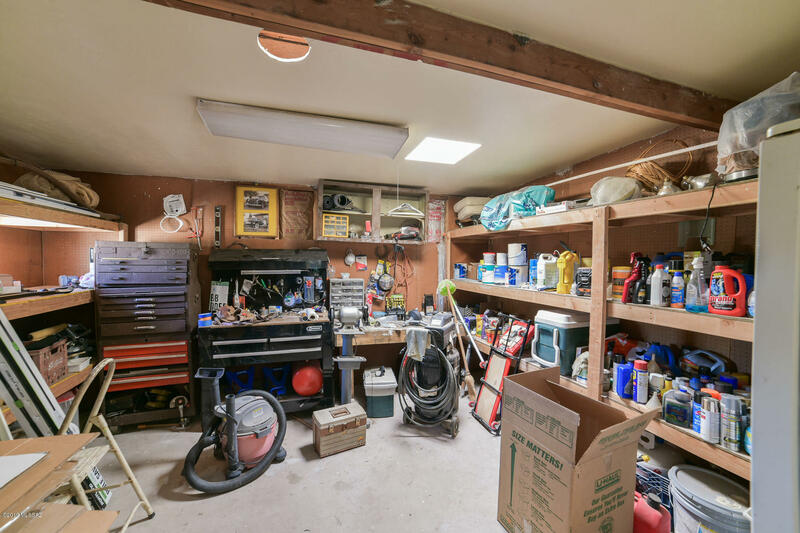 Backyard has lots of room for your enjoyment! 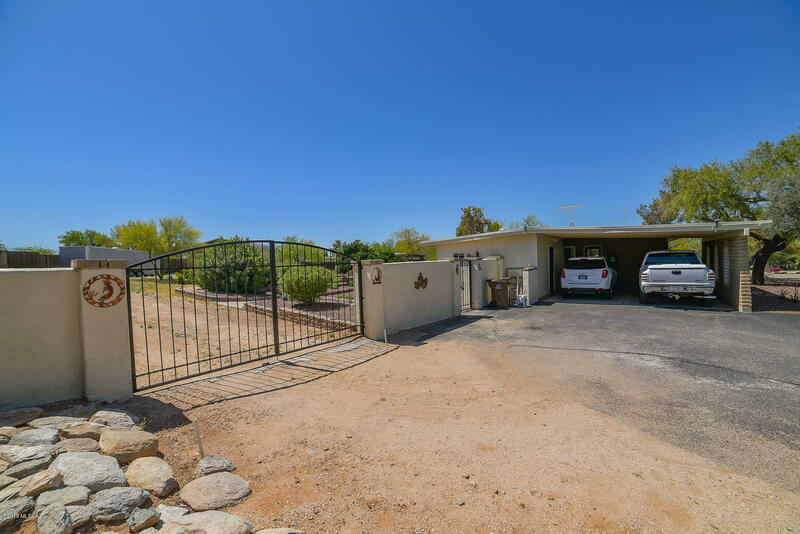 Front yard has beautiful curb appeal with circular driveway and carport. 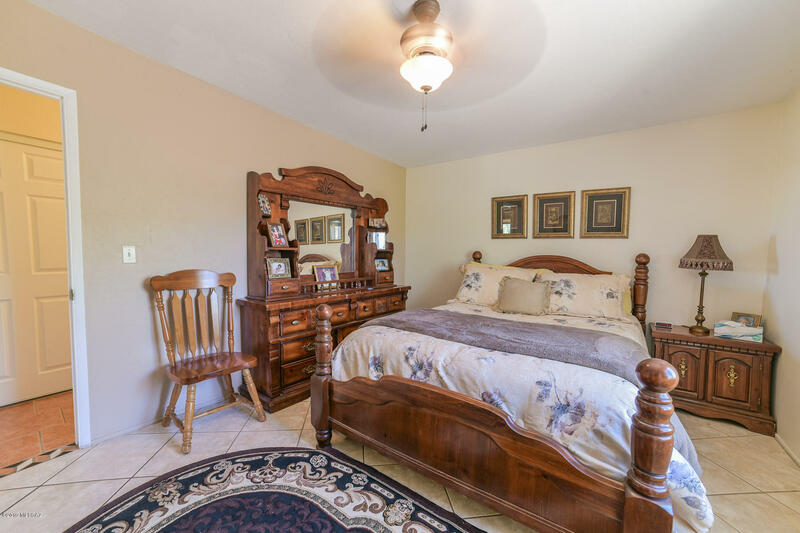 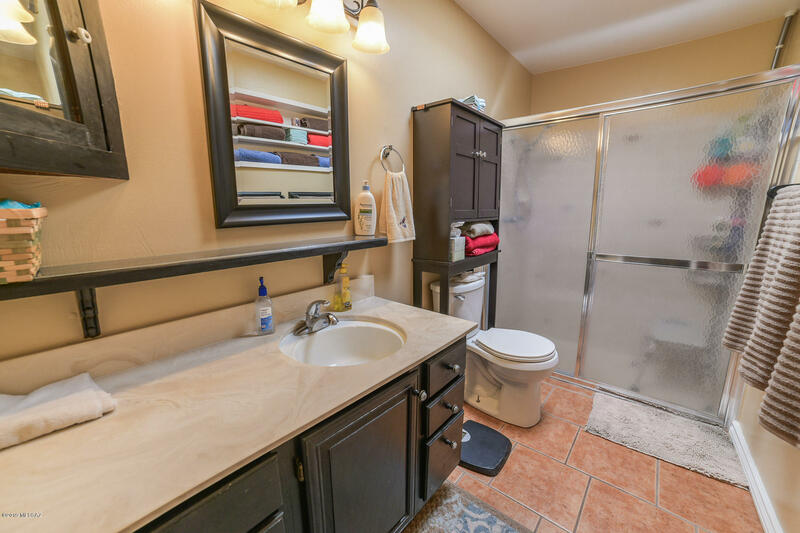 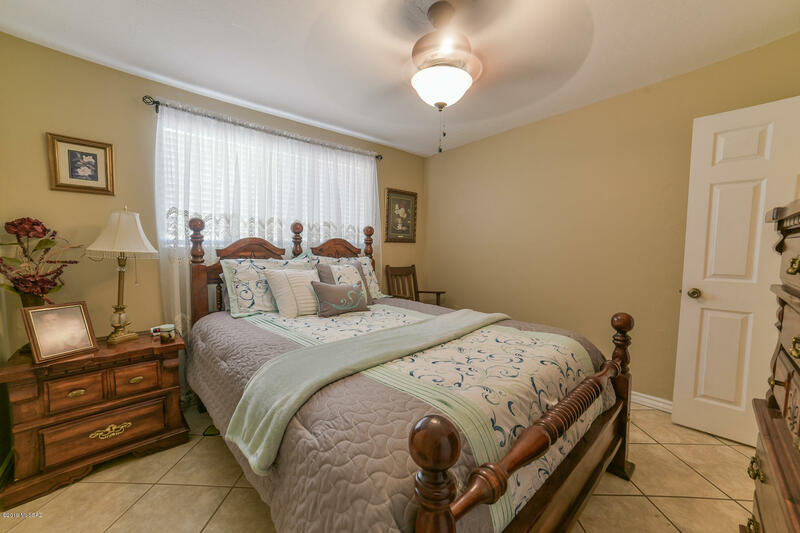 House features large master bedroom with door right to backyard. 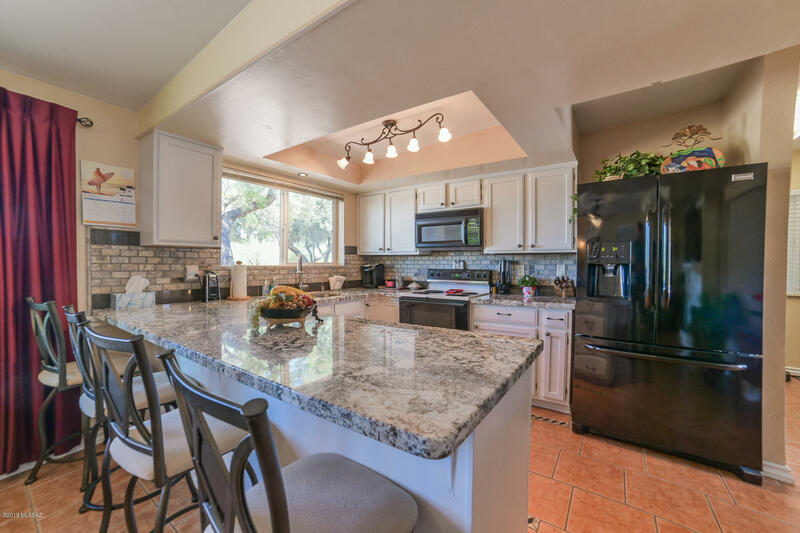 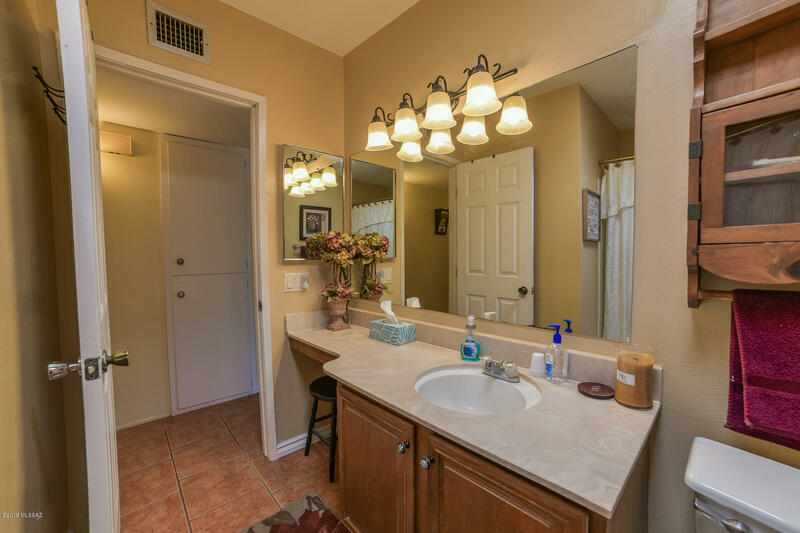 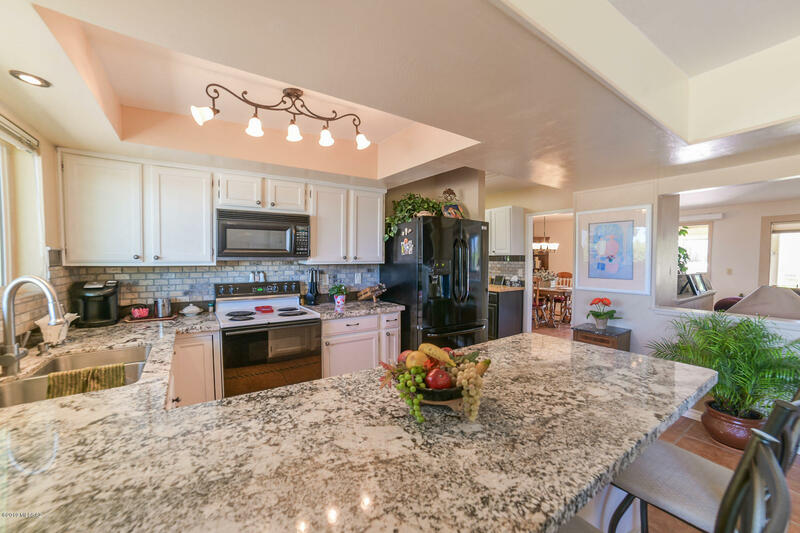 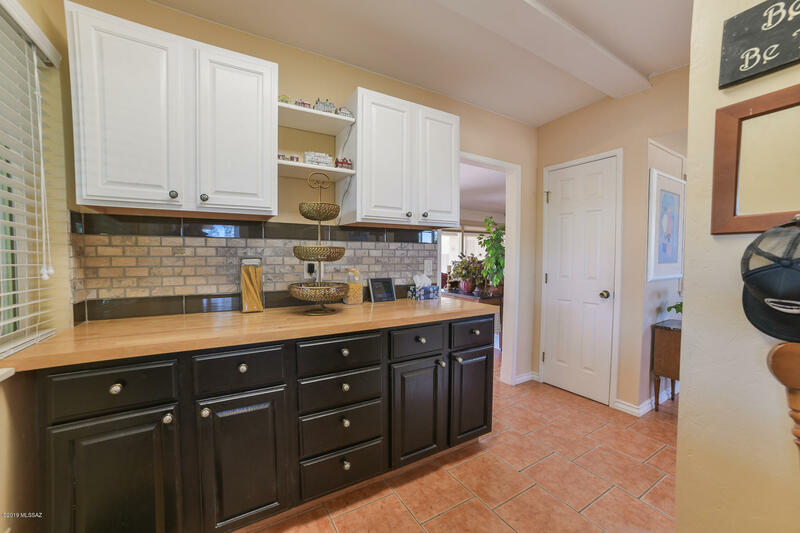 Kitchen has granite counters and lots of storage space. 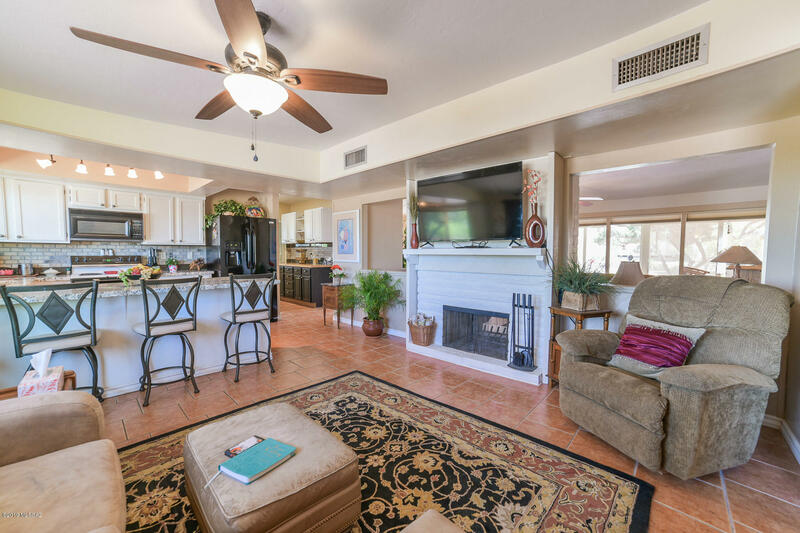 Open living areas with welcoming dual sided fireplace. 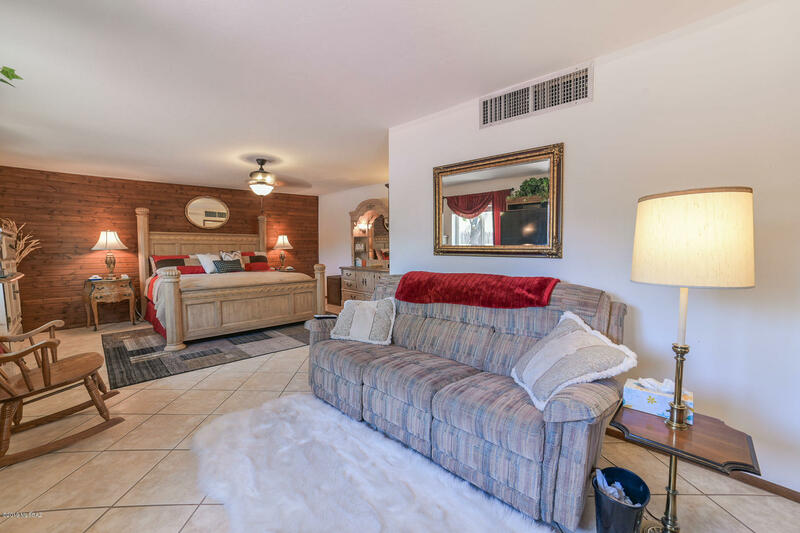 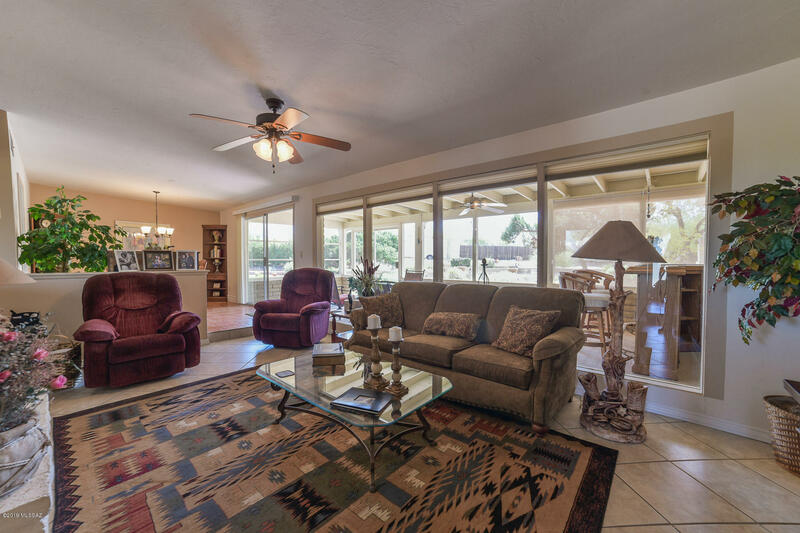 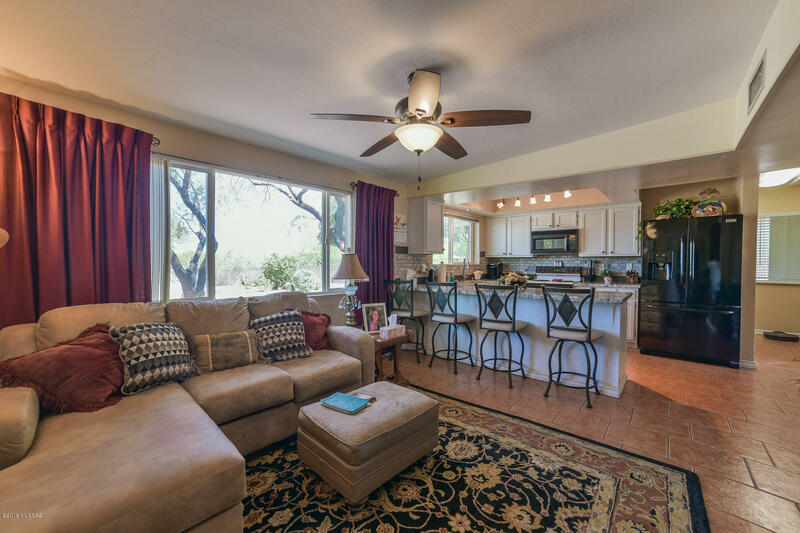 And an excellent Arizona Room to hang out and entertain. 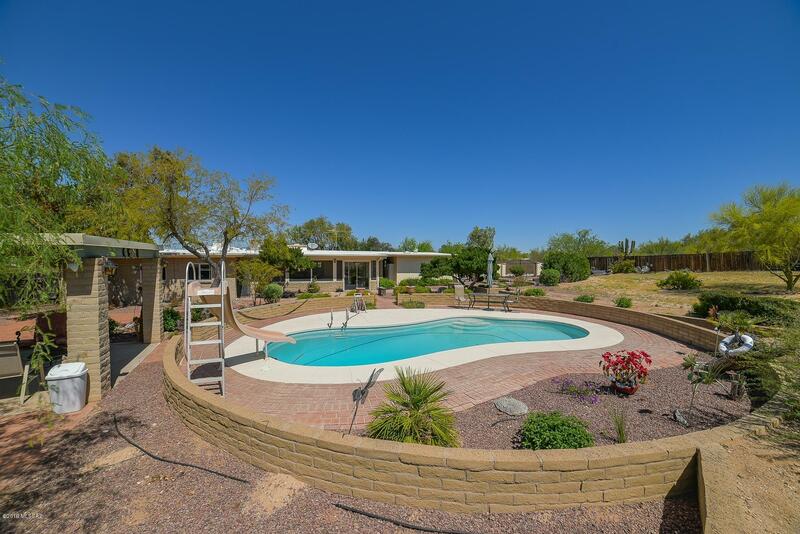 AHG Home Warranty Guardian plus Pool.